New support for a drug take back program by the Metropolitan Water Reclamation District of Greater Chicago (MWRD) will encourage safe and proper disposal of unused and expired medicines, and in the process, protect the local water environment. The MWRD has entered into an intergovernmental agreement with the Cook County Sheriff's Office (CCSO) to expand the CCSO's Prescription Drug Take-Back Program. Under terms of the agreement, the MWRD will contribute $100,000 to the CCSO for the expansion of the program that will cover the cost of operational and administrative expenses and the purchase and installation of drug collection receptacles. 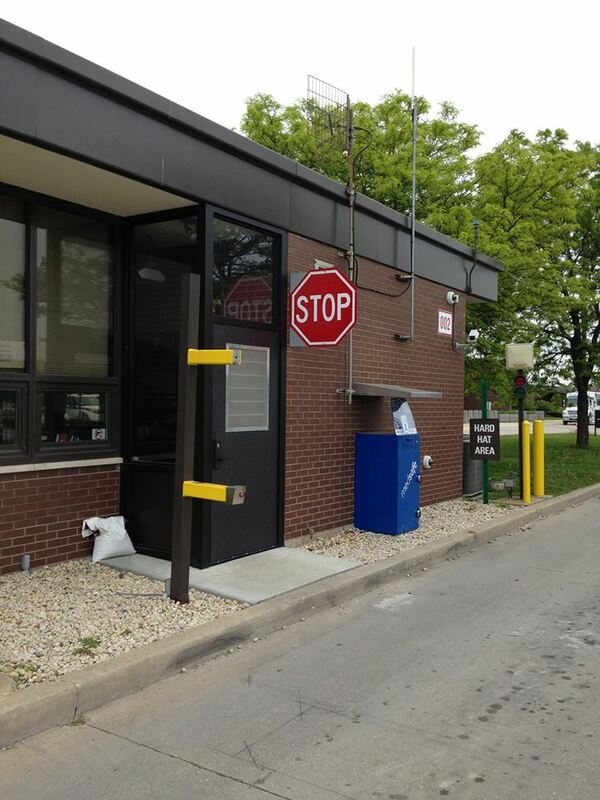 The MWRD recently installed four permanent receptacles at three of its plants and its main office building. "My staff and I are excited to expand our prescription drug take-back program serving suburban Cook County and Chicago by adding 40 new permanent collection sites underwritten in part by the Metropolitan Water Reclamation District. We initiated this program in 2012 to promote public safety and public health through collecting and properly disposing of prescription drugs throughout the area," said Cook County Sheriff Tom Dart. In August 2012, the CCSO Office of Support Services established the drug-take back program to house permanent collection sites at five suburban Cook County courthouses as well as the Criminal Court Building in Chicago. The Sheriff's Office also formed a partnership with suburban municipalities, suburban senior agencies and other groups as part of a continuous recycling program that includes pharmaceutical collections. Since then, the program has expanded collection sites and increased partnerships to collect thousands of pounds of drugs. "This agreement bolsters our partnership with the Cook County Sheriff's Office to protect public safety, public health and the environment," said MWRD Commissioner Debra Shore, chairman of the MWRD Committee on Public Information and Education, which coordinated a 2015 study session for MWRD commissioners to assess the partnership. "When people do not have a safe, secure way to dispose of their unused or expired meds, these meds accumulate at home (becoming a risk to seniors and teens), or are thrown out with the trash, where the chemicals will eventually enter groundwater or rivers and streams. By keeping harmful drugs from being flushed down toilets or rinsed down sinks, we are creating cleaner waterways and a better home for aquatic life." Water treatment facilities are not designed to remove minute concentrations of pharmaceuticals, so the chemicals eventually wind up in area streams and waterways and have a negative impact on water quality. Numerous studies show significant detrimental effects of pharmaceutical drugs on aquatic life. The CCSO plans to expand its network of local law enforcement agencies participating in the drug take-back program within MWRD boundaries and prioritize the installation of receptacles at locations where there has been a demonstrated lack of disposal sites. The agreement also requires the CCSO to evaluate the program on an annual basis to assess its effectiveness in preventing pharmaceutical drugs from entering Illinois waterways. In May, following the collection of nearly 500 pounds of unwanted medicine at separate drug take-back collections, the MWRD announced it would permanently install drug drop-off boxes. The 38-gallon Medsafe drug collection boxes are available at the MWRD's Main Office Building, at 100 E. Erie St. in Chicago from 9 a.m. to 6 p.m., Monday through Friday. The boxes will be open seven days a week from 9 a.m. to 6 p.m. at the MWRD's Stickney, Calumet and O'Brien water reclamation plants (WRPs). The Stickney WRP is located at 6001 W. Pershing Rd., Cicero; Calumet is at 400 E. 130th St., Chicago; and O'Brien is at 3500 Howard St., Skokie. Besides the MWRD boxes, various police stations and municipalities across Cook County allow medicine to be deposited throughout the year. The city of Chicago also collects unwanted medicines 24 hours per day, seven days per week at its police stations. For a complete list, visit www.mwrd.org. Upon entering the Stickney Water Reclamation Plant (WRP) and at left of the police station, visitors will find a new blue Medsafe box to deposit unwanted medicine. The receptacles are located at Stickney WRP, O'Brien WRP in Skokie, Calumet WRP on the Far South Side and the Metropolitan Water Reclamation District of Greater Chicago's Main Office Building, at 100 E. Erie St., Chicago. © Copyright 2016 Metropolitan Water Reclamation District of Greater Chicago. All rights reserved.